Well it took a long time but Open Black Belt is finally in the Amazon App Store. You check it out here. Note the App only shows up in the regular Amazon App Store and currently does not show up on the Kindle Fire , waiting on secondary approval process. If you have not seen the App or seen the website here is a link to it. 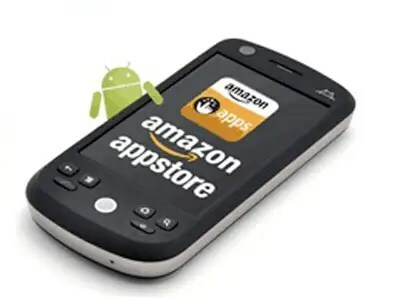 Today I’d like to talk about the Amazon App Store for Android. Though the Amazon’s App Store may not have as many Android apps as Google’s own Market, its selection of apps is very good and well tested( no malware ) Another advantage I see of having Amazons App Store is the ability to load it on other non Google certified hardware such as tablets from Vizio, Velocity Micro etc…. Of course the best bonus is the FREE app of the day which is prominently displayed at the top of the App Store, which encourages users to come back daily to see what free apps they can pick up, as well as see discounts on other popular programs. I still patiently wait for my Amazon Kindle Fire to arrive next month. Leave some comments. I’ve been working a shortcut app to go a mobile site. As such I have been attempting to submit it to the Amazon store. The process had been a little tricky getting the images correctly but I think this time it might actually pass. A minimum of 3 screen shots is required as well as a 114×114 icon and a 512×512. The mobile app currently exists on the Android Marketplace as well as App Brain, but check it out on Amazon when they get around to approving it.